With the Christmas holidays nearly upon us, it is probably best to start planning some ways of revitalising your home ready for visitors and celebration! Many of us will have family and friends over at some point, with one of the main worries being how the house looks (and not burning the turkey!). 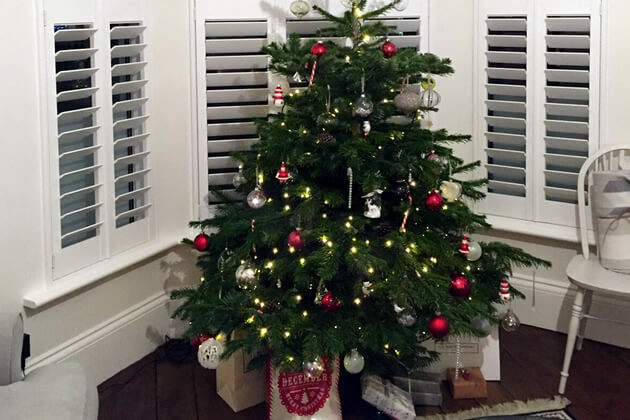 Below we have a few tips on making the most of your home over Christmas mainly focused on quick and easy solutions to get your home looking its best! Welcoming guests to your home! The first thing people see when they arrive at your home, or indeed those who are just passing is the front of the home including the door. Many like to hang a wreath and hand a few decorations, which is the perfect time for you to give the area a bit of a spruce up. Maybe it is time to give your door a fresh coat of paint, change the colour or for UPVS doors just a good clean! Add some new planters and create the perfect winter look with plants of your choice. 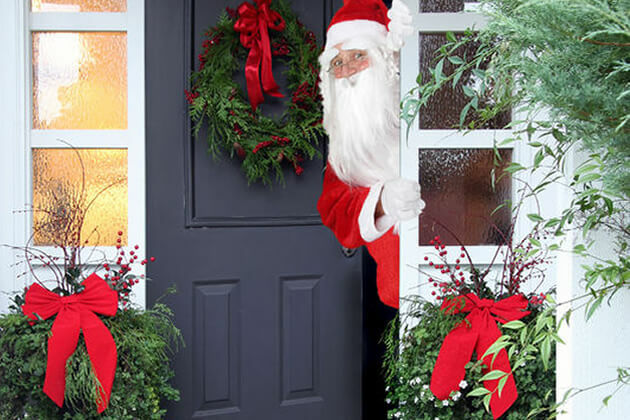 You can buy festive doorstep planters and plants specifically for Christmas. Make sure the area is correctly lit, replace that broken bulb in your porch light or replace with a warmer or brighter bulb which will glow with warmth in the winter weather. Now might also be a great time to update your welcome mat with something the guests will first notice on entry. Getting your kitchen in order is going to be a top priority, with much of the time spent checking on the Christmas dinner and keeping your guests topped up with snacks and their favourite tipple. By getting the kitchen in order well in advance you will have a better idea of the items that you need to buy for the day and where everything will be placed ready for the day. Clear the cupboards to make way for any food and drink that will need to be stored away and give the entire kitchen a good once over which will mean less time needs to be spent cleaning it the day before you have people over. 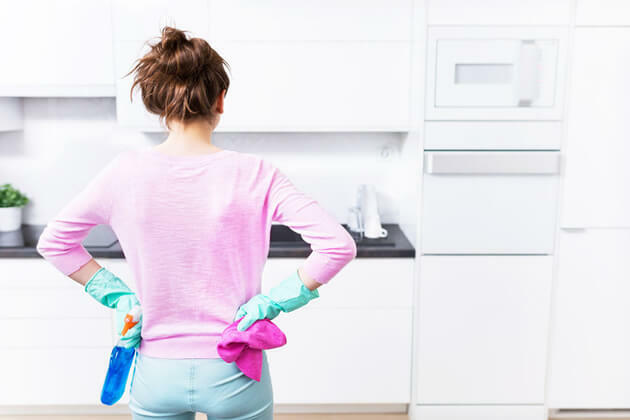 Having a clean kitchen on the day should make your life a lot less stressful for anyone preparing and cooking the food! Update the lighting in main rooms that you will be spending most of your time in over winter. Creating the ultimate ambience in the living room, dining room and kitchen will really help put people in the right mood over the colder months. Replacing bulbs with warmer colour temperatures such as 3000k can create a warm and inviting illusion to your rooms and you can also buy new lamps and shades to get just the right feel to each room. 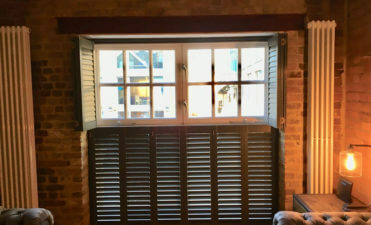 When it comes to keeping light and warmth in your rooms our plantation shutters are the ultimate window dressing. Created from wood and made to measure they keep heat escape to an absolute minimum, especially when combined with double glazing. When closed, privacy and escape of light is also drastically improved not only creating a great feel to the room, but also a traditional yet bespoke look to your window areas. 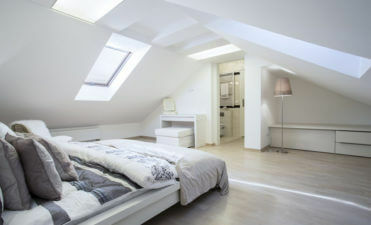 If you have a guest bedroom and are likely to have people staying over, now is the time to give the room a freshen up. 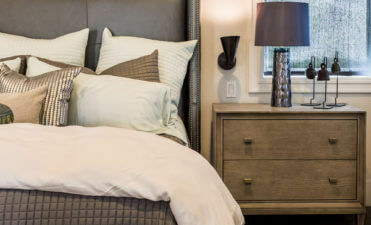 From a quick change of the décor through to new bed sheeting, your guests will feel right at home. Even simply changing the room around a bit and moving the furniture so that it is more accessible can help get the room looking just right for whoever will be staying in it. Changing things around a bit downstairs in areas such as the living room not only helps to make way for the Christmas tree, but also can be laid out in a way which is more useable for multiple family members and guests. You may usually be used to having it laid out in a way for just two of you or you and the children, but with others spending time around your home now is the time to make room for people to sit and socialise. 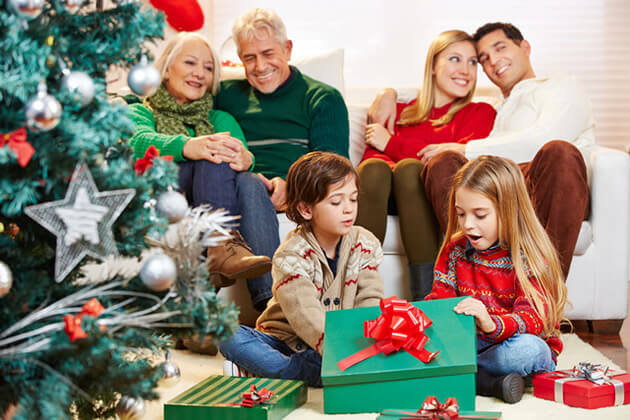 Make sure to create a big opening on the floor ready for opening of the Christmas presents and maybe think about laying a new festive rug or if the flooring needs cleaning/replacing. 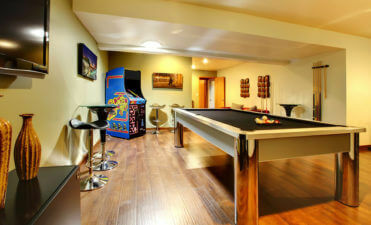 Ideas for creating the ultimate games room or playroom! Tips on improving and organising your living room for the New Year! 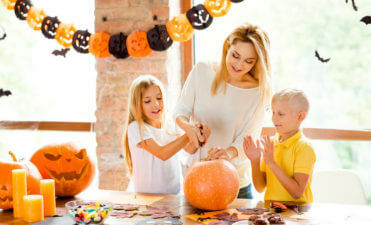 Halloween decor ideas that will make your home Spooktacular!